I received my new headcollar last week and I think it may sound a bit clichéd, but, it's revolutionary! 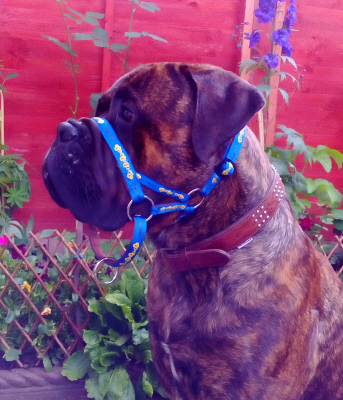 Although I've owned bullmastiffs for many years, this little lad is a bit of an unpredictable lunger bless him. But, it's no longer an issue - it feels so amazing to be completely in control in any situation. Bring on the hedgehogs and cats and Frogs!! !